Is anyone else in shock that December is nearly halfway over? I feel like I haven't had nearly enough holiday coffee, binge watching of Christmas movies, or baking and that's without the added stress of making a list and checking it twice. Last night while procrastinating this post I forced myself to go ahead and order some of the last items I needed to snag as gifts. With Christmas less than 2 weeks away I wanted to ensure that these items would arrive in time for me to wrap them up and bring them home with me. I am convinced that I can't possibly be the only one lingering when it comes to Christmas shopping. Usually I do a much better job of keeping a list of items to buy friends and family for Christmas throughout the year, but this year has been a bit busy. I still need to find something else for my dad (any suggestions would be so welcome) but most everyone else is already covered, phew! 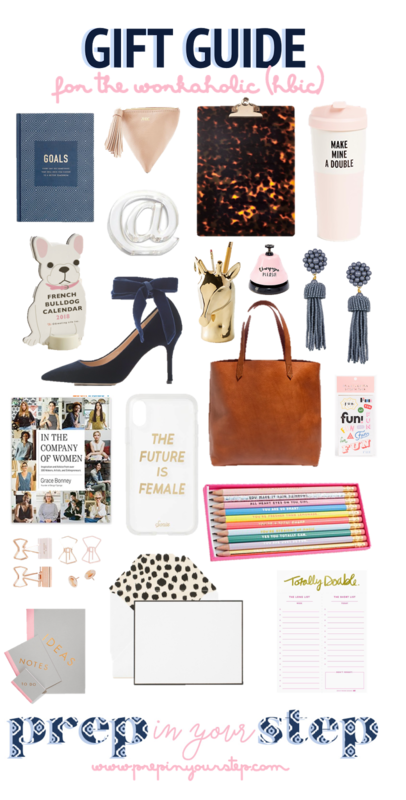 If you're looking to be in that same position of having your Christmas shopping done I've attempted to make it easy for you by putting all of my gift guides for this holiday season into one post. Here you will find some gift guides posted previously as well as 5 new guides for specific recipients you may be struggling with. It is my hope that you'll be able to purchase these and finish up your holiday shopping without the fear of the gifts not arriving in time to be placed under the tree. 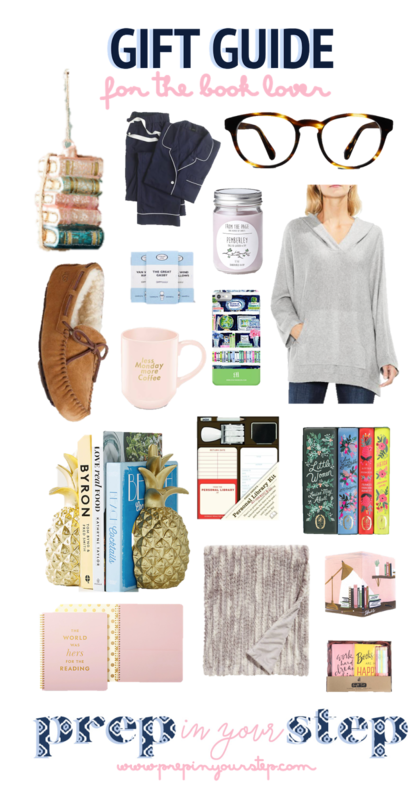 Since this is how my family shops for my Christmas and Birthday presents I've included more details than I usually would on a gift guide. I've included the item, a link to it, the color I'd like, size if applicable, as well as any deals currently happening regarding the product. While this is more information than most of you are interested in hopefully it won't distract from the items and ideas included on the list. I realized this year that the only regular coat I have is a black peacoat that I got sophomore year of high school. Shockingly it still fits, but as I get older I've seen a need for a classic coat that can match just about anything. I've loved the style of this J.Crew City Coat for years and think the camel color would be particularly versatile. Sunglasses are something I struggle with since my face is so small. I purchased this exact pair in the "demi flash" color (blue reflective lenses) and have worn them non stop. They seem a bit summery to wear year round which is why I'm asking for the plain tortoise style for Christmas. If you happen to have a smaller face like me then definitely give these a try. Hopefully you'll be as pleasantly surprised as I was. I received this perfume in the travel size last Christmas and love it so much that I would love it in a full size container. If you haven't smelled this take a pit stop next time you're in a department store and take a sniff. Perfume isn't something I would purchase for myself so Christmas seems like the perfect time to test my luck. I've come to realize that luggage aside from duffle bags is something that I do not have. In the past I've been able to walk into our attic at home and take my pick at whatever size suitcase I may need, but now that I'm living elsewhere I don't have that luxury. Instead, I kindly ask my roommates if I can borrow their suitcases if I have a trip that requires something. 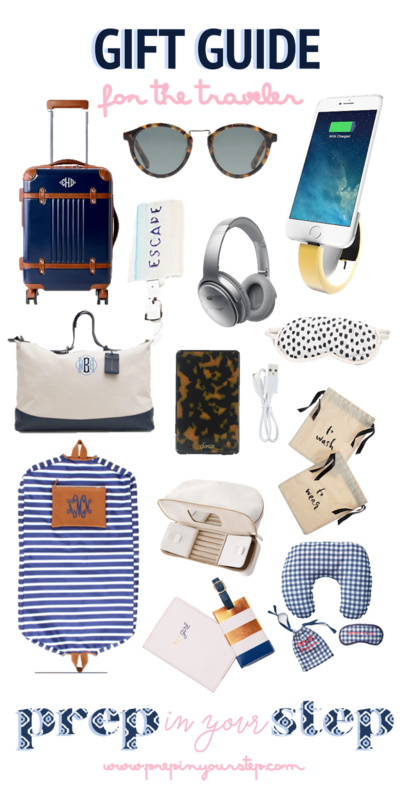 A suitcase seems like a practical gift, and this classic style one complete with a monogram still makes it a fun item to receive. Hopefully having a suitcase will also encourage more trips in the future but that may be a bit too far fetched. If you've read any of my organization posts you probably know just how much I love my Day Designer. I've used them the past three years and couldn't imagine having something else. I love that there are time slots for each day as well as a daily to-do list. Although I don't use it quite as much with teaching (read: I can make it through my daily schedule without having to reference it constantly) I can't imagine not having one for the coming year. If you're in the market for a planner definitely check out Day Designers and if you're not committed enough to pay the price know that Day Designer collaborates with Target to create a line for them. This is one of those items that I'm gulping as I put it on my list. I already own a pair of Frye Riding Boots that I adore however, over the years after being resoled a number of times they are showing a lot of wear. I need to get them re-soled again and think that I may get them done in rubber this go round to have them as a back up pair. Having a new pair seems worthwhile at this point but it just isn't as much fun to ask for something you already own. Fortunately I know that this is a gift that would be used all the time and I'd rather receive them as a gift as opposed to having to purchase them myself. Another one of those gifts that is a repurchase instead of a new find but worth it to have on hand. I tried a Nars cheek palette from the Nordstrom Anniversary Sale and constantly find myself using these two shades. Since I've used them up in that palette I was excited to see them offered in this duo. While I can't say this gift would be the most exciting to unwrap these are products I use daily causing it to be a super practical gift. My makeup brushes would also thank you since they aren't meant to be used to try to scrape up the few remnants remaining of these shades in that original palette. If you've never tried on a pair of Splits 59 Flared Tights you are missing out. These are the most comfortable and flattering workout pants I own. I have a black pair that I wear all too often (as in I'll willingly do laundry on a day other than Sunday in order to have these clean). So, when I saw these offered in Navy I thought they would be a nice change up. Whether you're working out in these , running errands, or lounging around I don't typically want to take them off. I'd love to have an additional pair to add into my rotation. I have loved Beautycounter for a while now but recently fell in love with their Countermatch line. The adaptive lotion I have is amazing but I find myself wishing for something a bit more hydrating for at night. When I saw that they released this new sleeping cream I was eager to give it a try since my face gets dry in the winter. I'd love to open this up on Christmas morning to try it out and rehydrate my skin. I love a good coffee table book! There's something about pretty pictures, writing about things that interest me, and the ability to have bookshelves filled with things that interest me that I love. This book came out this summer and has been in the wishlist part of my Amazon cart ever since. I'd definitely consider my style pretty classic and would love to add this book to my collection. My slippers have seen better days. I received a pair of slippers back in high school that have conquered many dorm rooms, communal bathrooms, and cold floors. It's about time to replace them since they are falling apart so I was pleased to find this comfy looking pair of slippers on sale. Maybe these will make waking up on cold winter mornings slightly more bearable. One of the best discoveries I made toward the end of this year was All Good Things Collective. I have been using their Naptime Diary Devotional for well over a month and am so excited for December to begin for me to start their Advent devotional. I recently discovered another one of their devotionals that sounds like it would be perfect for the new year and I would love to have it as the new year approaches. If you're looking for something of this nature that allows you to not only read a message but also reflect and respond to it in the same place on your own time then the devotionals offered by All Good Things Collective are a great pick. I adore my Michele Watch that I received as a graduation gift. I recently switched the classic silver band to a double wrap navy one and love that I can so easily change up the look of it. I wear it daily with my David Yurman bracelets and was recently given a beautiful gold bangle which brings out the gold in the David Yurman bracelets. Because of that, I'd love to eventually incorporate a silver and gold band into my jewelry box for even more versatility. I have loved Barrington Gifts for years and truly believe in the quality of their products. The bag I have is definitely geared more toward spring and summer and because of that I've been lusting over this deer exterior bag for years. I would LOVE to eventually have this to use both as a tote to school and even on the weekends as a great accessory for so many outfits. patagonia pullover // A cozy pullover that is a little more fitted and looks acceptable worn out and about is a great staple to have in your closet. I have this jacket and find myself wearing it all the time when I need something warm to throw on either with jeans or workout clothes. Fortunately, the jacket is thick enough to be warm but thin enough to layer under additional jackets if need be. 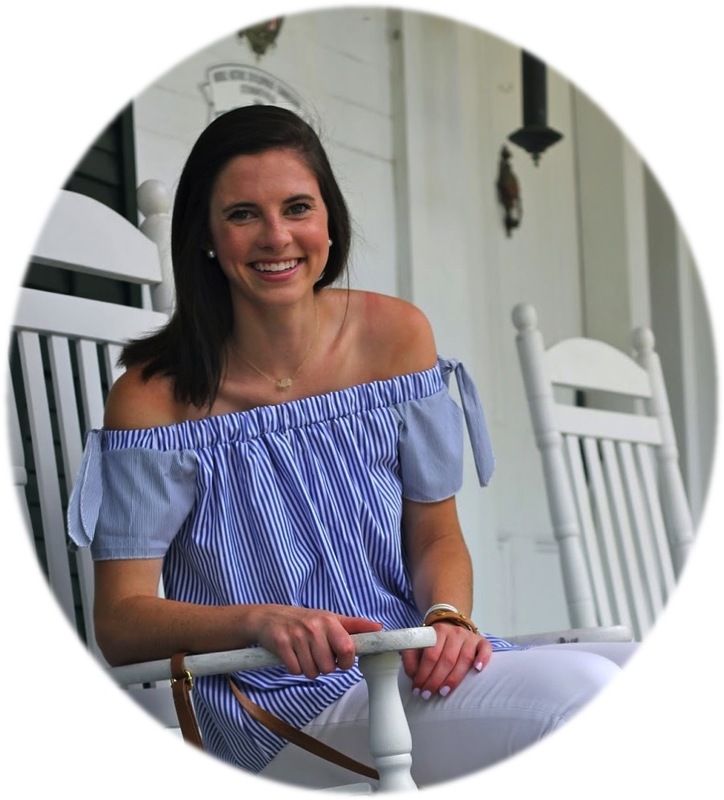 monogrammed stationery // Growing up in the South I have learned the value of a timely thank you note and a well placed monogram. Over the years I've collected enough monogram stationery to last until I get married (and that's not going to happen anytime soon), but if that weren't the case I'd be itching to add this set to my collection. gold hoops // Until junior year of college I pretty much exclusively wore pearl earrings. I have really small earlobes and a pretty small face and somehow got in my head that any earrings other than studs of some sort looked odd. That was until I got this pair of gold hoops. They come in a number of sizes and colors and I love dressing up an outfit by putting these on. j.crew new balances // A pair of tennis shoes that actually look decent with jeans can be a real game changer in your wardrobe. I was able to get this pair of J.Crew and New Balance tennis shoes last year and am so glad to see them still available. I wear mine all the time and if you don't have something similar am sure that you would find them just as perfect. michele watch // Definitely a big ticket item to add to your list but I wear mine every day and it was one of those gifts that I didn't know I "needed" until I received it. Michele watches have a number of different bands to choose from and look amazing styled with other bracelets. barrington tote // Tote bags are one of those things that I can never seem to have enough of. A high quality one that I can lug to work but also tote around on the weekend as needed can be a hard find. Fortunately, Barrington Gifts gives you the option to customize your own totes making this the perfect piece for you based on what you're looking for. I've been wanting this particular one for a while now but can't quite justify it with two other of their styles already in my closet. day designer // A good daily planner is essential to my sanity and I've sworn by Day Designers since sophomore year of college. If you're in the market to get organized this year and love a to-do list as much as the next girl this would be a practical gift for you. pajama set // When in doubt, a pajama set is my go-to gift to ask for or to give. J.Crew makes some super cute ones, but recently when browsing at Target I discovered they have some equally as cute and more affordable options as well. There's something about having on a matching pajama set when I go to bed that makes me feel more put together come the time my alarm goes off. classic pair of skinny jeans // Jeans are expensive especially a good pair of jeans. Fortunately, they can last a while too. Jeans aren't something I want to have to purchase myself so using your Christmas list as an excuse to ask for a new pair is the perfect solution. cozy scarf // Sometimes it is hard to be excited about the winter (at least after Christmas)and colder weather. Fun outerwear really makes a difference. This oversized scarf more closely resembles a blanket than a scarf if you ask me which makes it that much more perfect. 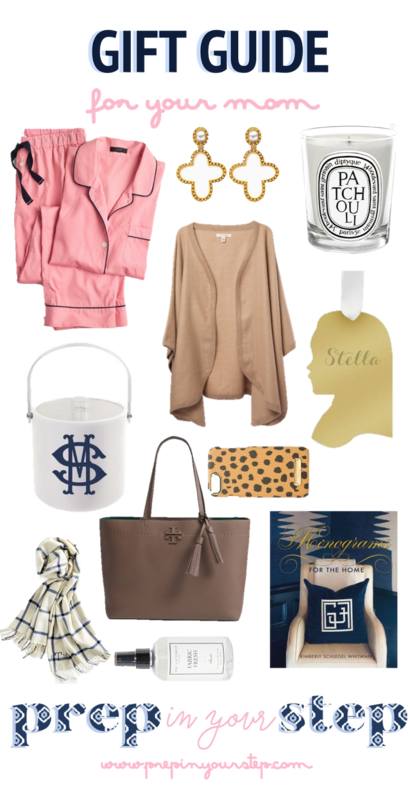 roomy monogrammed duffle // I use duffle bags all the time. For quick weekend excursions or even packing up stuff for a blog shoot I have a couple of go-to duffles that I know will do just the trick. The size and style of a duffle bag make a difference and it's important to make sure it is roomy enough to fit all you could need for a quick trip. I was immediately drawn to the monogram and shape of this duffle and know that it would be the perfect companion for a number of occasions. Hopefully now that you've come to the end of this post your Christmas shopping is nearly complete. I'd love to hear what gift you are most excited to give this year! I think mine is a toss up between what I got for two of my best friends or what I got my grandmother!